Will Amazon Prime Reading for Kindle eBooks Hobble BookBub? Amazon has blossomed from the world's biggest retail book seller, and Amazon is constantly changing the game to stay that way. In 2014, The Atlantic reported that Amazon controlled 64% of printed book sales. But Amazon further excels in the eBook market. Amazon's Kindle app allows readers to read its eBooks anywhere, on any device. The Balance reported that in 2015 in the United States, Amazon sold 65% of traditionally published eBooks and had a whopping 74% market share of all US ebooks sold, both traditionally and independently ("indie") published. For every dollar readers spent on eBooks, Amazon raked in 71% of the loot. The sales dollar percentage is slightly lower than market share, probably because indie publishers heavily rely on giving away the first book of a series for free or for a discounted price of 99 cents. Moreover, through Amazon's Kindle Unlimited program, subscribers can choose from among over one million eBook titles. Indie authors loved launching eBooks exclusively through Amazon, because of its marketing power and the visibility it afforded new authors. To increase visibility, authors bought ad space in popular eBook newsletters such as Book Bub, Ereader News Today, and Free Kindle Books & Tips. By far the most effective promotion tool was and remains BookBub. It is the most expensive, but the cost is well worth it, since I have never yet met an author who didn't sell more than enough books to cover the cost of the promotion. Beginning in 2012, it became harder--but not impossible--for indie authors to run promotions and see long-lasting results, unless the authors are already established with a following. That is because Amazon gave less visibility to free eBook promotions by ranking them separately and segregating them from paid book rankings. Authors still made their money back with BookBub and temporarily increased visibility, but many authors saw sales rapidly drift lower, since their rankings when people paid full price were much lower than their rankings during the promotion. Unless an author could push into the top ten in Amazon eBooks--and some did--the long-term "halo" sales disappeared. Most authors still saw an overall improvement, since they would make the top position in selected eBook categories. While that wasn't as effective as being in the top ten overall, it meant that readers interested in a specific genre easily found authors who invested in promotions. In the spring of 2015, Amazon made bestsellers harder to find. By default, Amazon showed customers "featured" eBooks, and most readers weren't even aware they weren't viewing the bestsellers. To view bestsellers, customers had to take the extra step of finding and clicking a bestseller tab that had been removed from the usual drop down menu and moved to the left hand rail. The result was that promotion tools such as EReader News Today and Free Kindle Books & Tips became much less effective. Only BookBub remains reliably effective. Prime Reading: A Game Changer for Book Bub? 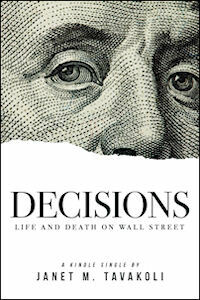 In 2015, I wrote a short nonfiction memoir, Decisions, Life and Death on Wall Street. It was unanimously chosen by the editors of Amazon's Kindle Singles store for placement as an exclusive Amazon product. (Kindle Singles are short well-written books by authors who are usually much more recognizable than I am.) Amazon edited the manuscript and created a cover for the Kindle edition. Prime members include Amazon's most engaged customers. Many of them own Kindles, but they can also use the previously mentioned Kindle App to read eBooks on any brand of desktop or mobile device. Alert customers are already discovering the new tab Amazon added to the top rail in the Kindle Store: "New! Prime Reading." Readers who used to rely on BookBub for deals, may prefer the advantages of downloading curated books through Prime Reading.